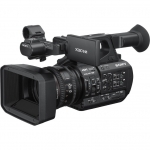 Sony Pmw 500 2/3" - Full HD422 XDCAM shoulder camcorder with 17x lens, Manfrotto 516 tripod and Portabrace bag. 3 x Panasonic AJ-HPX3000 Camcorder Package with HD Lenses. Price for all, can be sold individually please inquire. Arri Alexa Plus SXT Digital Film Camera - "AS New" Please contact if interested.